What are the best movesets for PvP Trainer Battles, Gym defense, and Raid attacks in Pokémon Go? These! 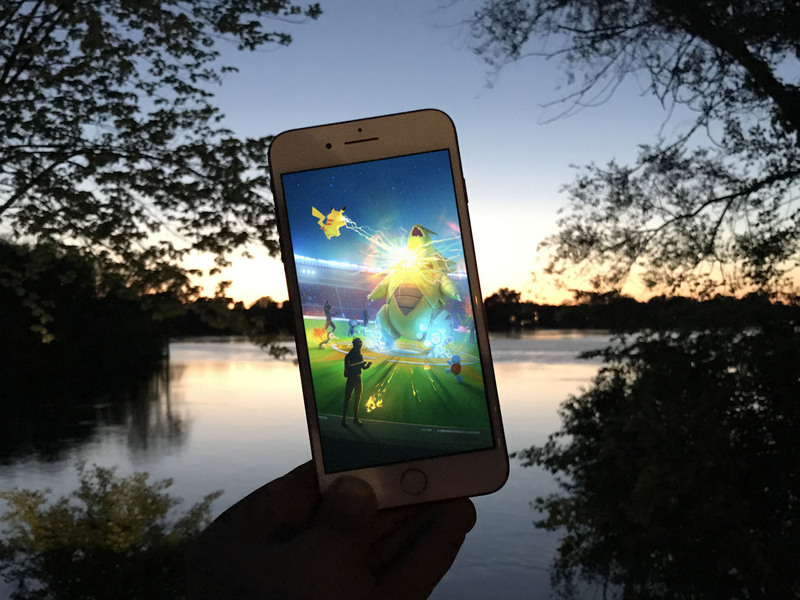 While it may seem like Combat Power (CP) or stats (IV) are the most important factors in Pokémon Go, movesets play a critically important role as well. Movesets are the combination of the quick move and charge move your Pokémon uses in Gym and Raid Battles. The wonderful, terrible thing about movesets is that they're determined at random. If you catch or hatch a Snorlax, you get whatever you get. But if you evolve a Slaking, Tryanitar, Dragonite, Gyarados, Blissey, etc. or catch a Boss after a Gym Raid, they're determined by a roll of the dice the moment you hit the evolve button or as soon as the Premiere Ball stops bouncing. That means your perfect IV Shelgon can become a less-than-ideal Salamence with just one tick or tock of the server. The good news is that, with Technical Machines (TMs), you can re-roll your old, terrible movesets and try for new, great ones. But how do you know which movesets will help your Pokémon win at PvP Trainer Battles and decimate Gyms and Raids and which will make a fight simply unwinnable? Here's the newly updated list! If all you want is a quick reference for the absolute best moveset for the most powerful Pokémon (CP) in their most efficient roles (Attack/Defense) in Pokémon Go as the game stands today, here it is. (For more details and alternate movesets, keep reading below). Note: I'm including defensive movesets even for Legendary Pokémon. While Legendaries can't currently be put in Gyms, that might change, or Player vs. Player or other mechanics might be introduced in the future that make it relevant. Again, many Pokémon have several ideal movesets, so keep reading for more! What if you don't have the best movesets? Movesets are like the lottery. Whether you catch, hatch, or evolve, you never know what you're going to get. Some Pokémon have upwards of six or more moveset combinations, some amazingly good, others terrible. If you have an ideal moveset, it's great. You'll do the most damage in the least amount of time while maintaining the best ability to dodge. If you don't, not all is lost. You could still have the same type of moves, only less damaging or slower. For example, Machamp with Counter and Dynamic Punch is one of the best attackers in the game. Machamp with Counter and Close Combat, though, is a fairly close second. Dragon Tail Outrage is the best for Dragonite, but Dragon Tail Hurricane isn't far behind. Conversely, Machamp with Bullet Punch and Heavy Slam or Dragonite with Steel Wing and Hyper Beam... nowhere close. New with the June 2017 Raid Battle system, you can even get Technical Machines to change your movesets. Two of the possible rewards for beating Raid Bosses are Quick TM and Fast TM, which can be used to change Quick Moves and Charge Moves respectively. How do you change movesets in Pokémon Go? With Technical Machines (TM)! What about secondary Charge Moves? With PvP Trainer Battles has come secondary Charge Moves. You can buy them with Stardust and Candy, and TM them to whatever it is you need. So, what do you need? Typically, variety. If the best Charge Move is a full bar, get a secondary that's multi-bar. And vice-versa. That way, you can mix things up when and as needed. What are the best Pokémon Go movesets for attack? What are the best Pokémon Go movesets for defense? What is the best moveset for Cresselia? Cresselia is a pure Psychic-type Pokémon that, in Pokémon Go, is better looking than it is meta-effective. Counter: Mewtwo with Confusion + Shadow Ball, Gengar with [Shadow Claw / Lick] + Shadow Ball, Tyranitar with Bite + Crunch. What is the best moveset for Giratina (Altered Frome)? Giratina is a Dragon- and Ghost-type with two forms — or formes. Altered is the first one available in Pokémon Go, and while it was perfect for Halloween, it's not the power house of its other form — or forme. Best Movesets: Shadow Claw + Dragon Claw. One claw for each type! What is the best moveset for Regirock? Regirock is a Rock-type Pokémon, and the third of the Legendary Titans of Hoenn introduced into Pokémon Go. You know the story by now: It's got a high defense stat, which makes it tough in Raid battles but, since Legendary Pokémon still can't be placed in Gyms in Pokémon Go, not very useful beyond the PokéDex entry. Best Movesets: Rock Throw + Stone Edge. Hey, rock the rock. Counter: Kyogre with Waterfall + Hydro Pump or Fighter-type with Counter + Dynamic Punch or Venusaur with Vine Whip + [Frenzy Plant]. What is the best moveset for Registeel? Registeel is a Steel-type Pokémon, and the second of the Legendary Titans of Hoenn introduced into Pokémon Go. It's got a high defense stat, which makes it tough in Raid battles but, since Legendary Pokémon still can't be placed in Gyms in Pokémon Go, not very useful beyond the PokéDex entry. Best Movesets: Metal Claw + Flash Cannon. It's the Poke of Steel, after all. Counter: Any big Fire-type with Fire Spin + Overheat or Fighter-type with Counter + Dynamic Punch or Groudon wit Mud-Slap Earthquake. What's the best moveset for Celebi? Celebi is a Psychic- Grass-type Pokémon that has tons of potential... but lacks the moveset pool to really make a dent. Confusion, which gets STAB (same type attack bonus) is better than charge beam as a fast move. Dazzling Gleam, a Fairy-type move, outscores both Psychic and the plodding cannon that is Hyper Beam, even with Psychic's STAB. Celebi's current lack of any Grass-type Fast or Charge moves means it offers nothing as a Grass attacker at the moment. That could change any time Pokémon Go wants it to, though. What are the best Pokémon Go movesets for Regice? Best Movesets: Frost Breath + Blizzard. Ice, ice, baby. Counter: Any big Fire-type with Fire Spin + Overheat or Fighter-type with Counter + Dynamic Punch. If you lack those Metagross with Bullet Punch Flash cannon will do. What are the best Pokémon Go movesets for Mew? Mew can learn Fast and Charge Moves of all types, making picking the best moveset equal parts math and feels. Mew won't be topping any attacker or defenders charts, so go for what the numbers say is best or your personal favorites. The only exeption to this is that it can't learn a fast psychic move. Since, given the variety, it will take a ton of TMs to get what you want anyway, and it won't make a huge difference given Mew's stats, you can simply keep what you get. If you really want to try your luck in the TM lottery, go for something that works well against whatever you typically fight the most, and have fun with it. What are the best Pokémon Go movesets for Latios? Latios is one half of the Eon Duo, Legendary Pokémon of Dragon- and Psychic types. In a vacuum, Latios would be a damn fine Pokémon. In the shadow of Rayquaza, and even Salamance and Dragonite, it barely makes the top 5. Still, a top 5 Legendary Dragon can still help round-out any attack team. Best Movesets: Dragon Breath + Dragon Claw. When a Dragon, go all-in on Dragon. Counter: Any big Dragon with big Dragon movesets. In a pinch, Tyranitar with Bite + Crunch. What are the best Pokémon Go movesets for Latias? Best Movesets: Dragon Breath + Outrage. When a Dragon, go all-in on Dragon. Counter: Any of the big four Dragons with big Dragon movesets. In a pinch, Tyranitar with Bite + Crunch. What are the best Pokémon Go movesets for Rayquaza? Rayquaza is the last of the Weather Trio to enter the Pokémon Go arena. It can't reach as high a CP as either Groudon or Kyogre, but it's still more than high enough to make Rayquaza the best Dragon-types in the game. And the best Flying-type. It's the Dragon part you want to focus on though — Dragon Tail and Outrage, specifically. Counter: Articuno with Frost Breath + Blizzard or Ice Beam., unless the Raquaza has Ancient Power. If that is so, use Raikou with Thunder Shock + Wild Charge. What are the best Pokémon Go movesets for Kyogre? Kyogre is one of the Weather Trio and, along with Groudon, can reach one of the highest CP in the current Pokémon Go lineup — 4074. Combined with its elite stats, it replaces Vaporeon and the newly Waterfall'd Gyarados as the most powerful Water-type in the game. Sadly, it lost it's Dragon Tail Quick Move before it even came out, but when you have Waterfall and Hydro Pump, it's hard to argue. While Kyogre can also learned Blizzard as a Charge Move, it doesn't have a Quick Move — or typing — to match. So leave the cold to Articuno and Lapras. Likewise, Thunder is a Charge Move option, but not a good one. Let water be water. Counter: Raikou with Thunder Shock + Wild Charge. What are the best Pokémon Go movesets for Groudon? Groudon is one of the Weather Trio and can reach one of the highest CP in the current Pokémon Go lineup — 4074. Combined with its elite stats, it replaces Rhydon as the most powerful Ground-type in the game. Sadly, it can't learn the more damaging Mud Slap, but it can get Mud Shot + Earthquake, which is going to be what every purist wants — and every Electric-type fears. Groudon can also learn the incredibly punishing Dragon Tail and Solar Beam, and some might want to go with those moves as well. There are other Pokémon that can learn Solar Beam, though, so do it if you don't have those options. Otherwise, let Groudon be Groudon. Best Movesets: Mud Shot + Earthquake. Like Ryhdon, only Legendary. Secondary Movesets: Mud Shot + Solar Beam. Because Solar Beam. Counter: Gyarados or Vaporeon with Hydro Pump. What are the best Pokémon Go movesets for Mewtwo? Mewtwo can only be obtained from Ex-Raids right now. But, in so doing you also obtain one of the best attackers in the game. Pokémon Go might have nerfed the Legendary clone of Mew, but its base stats are still extreme, and its attacks, still devastating. Best Movesets: Confusion + Shadow Ball. Counter: Tyranitar with Bite + Crunch. What are the best Pokémon Go movesets for Ho-Oh? Ho-Oh is to the Legendary Beasts what Lugia is to the Legendary Birds — their leader. Where Lugia is cool and calm, Ho-Oh is fiery hot. Sadly, where Lugia also had movesets that made sense, Ho-Oh's are all over the map, and what really holds it back is the complete lack of Overheat. Sadness. It really makes everything else a toss up and dependant on what, if anything, you want to do with Ho-Oh. Extrasensory + Solar Beam is probably your best bet, unless you want to go Machamp Raiding with Brave Bird, or go after the big bugs with Fire Blast. Ugh, Pokémon Go. Just. Ugh. Best Movesets: Extrasensory + Solar Beam. Because, Solar Beam. Secondary Movesets: Brave Bird against Fighters, Fire Blast against Bugs, but ugh. Counter: Tyranitar or Golem with Stone Edge, Raikou with Wild Charge or Zapdos with Thunderbolt. What are the best Pokémon Go movesets for Suicune? Due to the way Pokémon Go translates stats over from the Nintendo Pokémon games, the Legendary Water Beast, Suicune, ends up with the short end of the stick. So short, you can barely see it. The result is a Legendary Pokémon that's not nearly as good at its Water-type specialty than the incredibly common Vaporeon and the newly rejuvenated Gyarados. It can't even get to 3000 CP. Previously, Suicune could at least get Hidden Power Water or Hidden Power Rock, if you were really, really lucky. Now, if Suicune makes a comeback or you somehow TM yourself into a corner, all you can get is Snarl or Extrasensory. Best Movesets: Anything and Hydro Pump. Sigh. Counter: Raikou with Wild Charge or Zapdos with Thunderbolt. Anything with Solar Beam. What are the best Pokémon Go movesets for Entei? Entei is the Legendary Fire Beast and a powerhouse of a Pokémon. Because Moltres, Flareon, and Charizard can also learn Entei's best moveset — Fire Spin + Overheat — it's not quite as glorious as it could be. But, for pure Fire-type Pokémon, Entei is still FIRE. Especially when you count in its CP: Entei can reach 3377, much higher even than Moltres. You can play around Flamethrower if you're a fan of 2-bar charge moves. Otherwise, just take Overheat and wreck with it. Best Movesets: Fire Spin + Overheat. So. Much. Burn. Secondary Movesets: Fire Spin + Flamethrower if you really want to shoot fast and dodge more. Counter: Gyarados, Kyogre or Vaporeon with Hydro Pump. What are the best Pokémon Go movesets for Raikou? Raikou is a Legendary that really lives up to the name. The Legendary Electric Beast, Raikou not only has a CP that can reach 3349, it can do one thing no other Electric-type currently in the game can match: learn Wild Charge. When you combine Raikou's stats with its moveset, it catapults past Zapdos to become the best — and certainly the best pure — Electric-type attacker in Pokémon Go. We'll see how that holds up as future Electrics get introduced. For now, though, Raikou is the real zapper. Best Movesets: Thundershock + Wild Charge. Literally lightning in a bottle. That it throws as a weapon. Counter: Groudon or Rhydon with Earthquake. What are the best Pokémon Go movesets for Lugia? Lugia is one of the most powerful Legendary Pokémon in the game. It can easily reach a CP over 3000, it's got stats that put it up there with the best, and movesets that pack a punch. Specifically, Lugia is Psychic/Flying type and has Psychic movesets available to it that can destroy Fighting-types like Machamp. Dragon Tail with Sky Attack and Hydro Pump are powerful as well, can make Lugia a good general attacker, like Dragonite. and can put a hurt on a range of other Pokémon, but when you have a Psychic destroyer of this stature, let it be a Psychic destroyer. Best Movesets: Extrasensory + Future Sight. Picture an Alakazam with the bulk of a Snorlax. Now, Machamp knows fear. Secondary Movesets: Dragon Tail with Sky Attack. Still packs a wallop, even without same type attack bonus (STAB) on the fast move. Counter: Tyrantiar with Bite + Crunch or Stone Edge. What are the best Pokémon Go movesets for Articuno? With a potential CP almost but not quite reaching the 3000s, Articuno is like Lapras on Hulk serum. OK, more Hulk serum. Unlike Lapras, though, Articuno only has access to Ice type movesets. No Water types. That makes Frost Breath its only Quick Move and, so, winner by default. For Charge Moves, Blizzard packs more power but takes longer to deliver it. Ice Beam can be spammed over and over again. Best Movesets: Frost Breath + Blizzard or Ice Beam. Blizzard hits harder but Ice Beam hits more often. Counter: Tyrantiar with Bite + Stone Edge. What are the best Pokémon Go movesets for Moltres? Moltres is a Flying/Fire type, just like Charizard, but with a CP that can reach over 3000. It currently doesn't have any Flying-type movesets assigned to it, but it has Fire Spin + Overheat, which is the best Fire-type moveset in the game. That makes Moltres, essentially, a super-Charizard. Use it to burn Bugs Grass-types down to ash. Best Movesets: Fire Spin + Overheat. It's not fast but it hits like the inferno. Counter: Golem with Rock Throw + Stone Edge or Tyranitar with Bite + Stone Edge. What are the best Pokémon Go movesets for Zapdos? Zapdos is a mixed blessing. It has better stats than any previous Electric-type in the game... but it doesn't have access to movesets that would really push it over the top. As it is, Zapdos is Flying/Electric and has a CP that can soar about 3300. For Fast move, all Zapdos has access to is Charge Beam. For Charge Move, Zap Cannon and Thunder, but also Thunderbolt. It's not Wild Charge, but it'll do. Best Movesets: Charge Beam + Zap Cannon. It'l still light up water types. What are the best Pokémon Go movesets for Slacking? Slaking would have had a CP that soared over 5000 — Five. Thousand. — but Pokémon Go nerfed it hard before releasing it as part of Gen 3. Still, with a new maximum of 4548 CP, Slaking climbs to the top of the Empire State Building and swats at the puny biplanes of every other Pokémon in the game. To balance things out, though, Pokémon Go have given Slaking the zero-damage Yawn as its one and only quick move. And that means that while Slaking looks impressive, it can't really attack and can't really defend. Thus, the biggest mon of them all is relegated to showpiece status in the current game. Attack: Yawn with Hyper Beam. If you can dodge long enough to actually charge it up and get it off. And it's a big "if". Defense: Yawn with Play Rough. Because it has a slightly higher chance of being charged up and set off before Slaking goes down hard. Counter: Machamp or Hariyama with Counter + Dynamic Punch. What are the best Pokémon Go movesets for Tyranitar? Tyranitar once soared to the top of Gyms, even higher than Dragonite, based on its matchless CP. Now that any CP over 3000 is actively punished in Gyms, Tyranitar and it's severe weakness to Fighting moves has made it less of a defender and more of an attacker. You can still put a 2999 or lower CP Tyranitar in a Gym, but you really want to max out double Dark Tyranitar to take out Psychics in Raid Battles. Including, one day, Mew and Mewtwo. Update: If you managed to score a Smack Down with Stone Edge during the June 2018 Community Day, you now have the best Rock-type attacker in the game. Attack: Bite with Crunch (Smack Down with Stone Edge if you have it). Same type attack bonus (STAB) and super-effective against Psychics gives Crunch the double-dark win. Also, Bite with Stone Edge against Fire, Electric, and Poison types. Defense: Iron Tail with Crunch. Outputs more damage, more quickly, even in bad matchups. Counter: Machamp or Hariyama with Counter + Dynamic Punch. Goes through Tyranitar like Bruce Lee through a wooden board. What are the best Pokémon Go movesets for Metagross? Like far too many Pokémon Go translation, Metagross is a formidable monster by virtue of both its CP and stats, made relatively tame thanks to its less than stellar movesets. Still, it's the best Steel-type in the game right now, and with Bullet Punch and Flash Cannon, Metagross makes the most of what's possible. Attack: Bullet Punch with Flash Cannon. Same type attack bonus (STAB) and, while Steel-type attacks and attackers aren't very potent in Pokémon Go, it's as potent as we have right now. Defense: Zen Headbutt with Flash Cannon or Psychic. Counter: Flareon, Charizard, Moltres, or Entei with Fire Spin + Overheat. Fire melts metal. What are the best Pokémon Go movesets for Dragonite? High CP now hurts Dragonite on Gym defense, thanks to the new system that punishes anything over 3000. A 2999 Dragonite or lower Dragonite can still fill a Gym slot but its loss of position and its double weakness to Ice moves has pushed it into an attacking role where it remains the best generalist in the game. Attack: Dragon Tail with Outrage. Dragon Tail does a lot of damage fast, Outrage just does a lot of damage. Also, Dragon Tail with Hurricane against Machamp. Defense: Dragon Tail with Outrage. Same as above. Damage. Damage. Damage. Counter: Lapras or Articuno with Frost Breath and Blizzard. Ice is a Dragonite's worst enemy. What are the best Pokémon Go movesets for Salamence? In any other world, Salamence would be an amazing Dragon-type Pokémon to attack Raid bosses and defend Gyms. In any other world that didn't include Dragonite and Rayquaza, that is. In this world, Salamence is still potent, but the combination of a full bar charge move and lower durability means it often won't last long enough to unleash its full fury. Attack: Dragon Tail with Draco Meteor. Dragon Tail does a lot of damage fast, and Draco Meteor is the fullest fury in the game. Counter: Lapras or Articuno with Frost Breath and Blizzard. Ice freezes even the fiercest dragon. What are the best Pokémon Go movesets for Snorlax? Snorlax isn't just a tank. It's mega-tank and that hasn't changed with the update. For defense, though, you now need Snorlax under 3000 CP or you can literally see them draining away. Even CP-hobbled, Snorlax can take a beating while dishing out damage and that means anyone who goes up against one is in for a tough battle. Attack: Zen Headbutt with Hyper Beam. Not fast but punishing, especially againt it's main counter, Machamp. Counter: Machamp or Hariyama with Counter and Dynamic Punch. Or anything that can do a ton of damage, including Solar Beam, Overheat, or Stone Edge. What are the best Pokémon Go movesets for Rhydon? Rhydon received a significant boost in late 2016, with Pokémon Go's updated formula boosting its potential up above 3000 CP. And now that's come back to bite it in the horn with the mid-2016 update that punishes high CP in Gyms. Especially given Rhydon's glass snout against Water and Grass moves. It can still sit in Gyms, sure, but now the primary use for a maxed out Rhydon is as an attacker against Fire and even Lightning Raid Bosses. With Gen 3, it can learn Surf... but why? Attack: Mud Slap with Earthquake. Not the fastest but useful against Fire, Electric, and Poison. Also Mud Slap with Stone Edge against the Flying Fire types. Defense: Mud Slap with Stone Edge. Still not the fastest but lots of damage, especially against those who don't dodge. Counter: Gyarados or Vaporeon with Hydro Pump or Exeggutor with anything and Solar Beam. They're plentiful and powerful. What are the best Pokémon Go movesets for Gyarados? Gyarados has been reborn! Sure, its first-year launched its CP up above 3000 and gave it a place in the old Gym system. Then it became the first evolved Shiny. But under the new Gym system, it was little more that a bright red bragging right and occasional Bite + Crunch fallback for Tyranitar when facing Focus Blast equipped Raid Bosses. Pokémon Go is nothing if not constant change, though, and now Gyarados finally has what it's always needed the most: A water-based quick move with Waterfall. Lightning is still its double kryptonite, but now it's made up for with the best water attack in the game. Defense: Water Fall with Hydro Pump. Counter: Zapdos, Raikou, or Jolteon. Take water, add a spark, watch it sizzle. What are the best Pokémon Go moveset for Blissey? Blissey is a tank's tank. A mega-tank. With MASSIVE amounts of HP. Thanks to the new Gym system, you no longer have Blissey running out the timer to look forward to/worry about, but its sheer defensive capability means if you have one under 3000 CP, it's still the best Pokémon to fill a Gym slot. (Just get in first because you can only have one per Gym now.) On offense, Blissey can likewise last, but that can mean running out of time against a Raid Boss. Attack: Pound with Hyper Beam. It can take a while but you'll get through anything. Defense: Zen Headbutt or Pound with Dazzling Gleam. Dazzling Gleam is harder to dodge than Hyper Beam, making Blissey even more frustrating. But really, any Blissey moveset works on defense. What are the best Pokémon Go movesets for Vaporeon? Eevee are so common in some areas that almost everyone has access to a high-level Vaporeon or several. Since it can only barely get to 3000 CP, there's even a chance your maxed out Vape is still viable in the new system. While it's still double weak against Grass, it also still got a lot of power behind it. That's even more true on attack, where it can hurt the Fire type Raid Bosses and blast into Tyranitar. Attack: Water Gun with Hydro Pump. Fast jab, devastating uppercut. Especially good against Rhydon and Tyranitar. Defense: Water Gun with Aqua Tail. Also fast and frequent enough it can force more dodging — or damage. What are the best Pokémon Go movesets for Machamp? Attack: Counter with Dynamic Punch. It hurts many of the big defenders, including Snorlax and Lapras, and devastates Tyranitar. Defense: Counter with Dynamic Punch. But you shouldn't be defending with Machamp anyway. Counter: Espeon, Alakazam, or Exeggutor — anything Psychic and tough, really. Also Dragon Tail + Hurricane Dragonite. What are the best Pokémon Go movesets for Lapras? Lapras... what a life! The late 2016 update skyrocketed other Pokémon ahead of it on the CP charts, and the early 2017 update sent Lapras tumbling down. Now, the mid-2017 update has made under 3000 CP the new sweet-spot for Lapras, and it's back in the game. Of course, Lapras still one thing best — knocks out Dragonites... if it has the right moves. Attack: Frost Breath with Blizzard. You get STAB and you get to shred Dragonite. Counter: Machamp. Very few things can take Dynamic Punch hurt. Also, Jolteon or Magneton with Electric movesets. What are the best Pokémon Go movesets for Golem? Golem has become relevant again, thanks not only to the new Gym system but the new Raid Battles as well. Given that Gyms can only have one of each Pokémon in it, and Pokémon are punished for being over 3000 CP, Golem at just below 3000 is a fine choice as a defender. It's like a mini-Rhydon without as many weaknesses. Better, though, thanks to its resistance, Golem is now really good for Raids against Fire and Electric types. And yes, that includes the Legendary Birds and Beasts. You just need the right movesets. Attack: Rock Smash with Stone Edge. Not the fastest but useful againt Charizard, Arcanine, Flareon, and Jolteon. Defense: Rock Smash with Stone Edge. What are the best Pokémon Go movesets for Alakazam? Alakazam was once the more most brutal, if glass-jawed, Pokémon in the game. Then the great moveset rebalance with the launch of Gen 2 depowered (nerfed) him hard. Alakazam may not be what it once was, but thanks to the new Gym system, at least its CP no longer holds it back as a defender. And given some Raid Bosses weakness to psychic moves, and Alakazam's still respectable ability to deal damage, it's regained its place as an attacker — and it's one of the few things that can't really hurt the big fighters, like Machamp. Attack: Confusion + Futuresight. Lots of damage and little ability to resist it. Especially against Machamp. Defense: Confusion + Futuresight. Same. Counter: Tyranitar with Bite + Crunch. Dark STAB and super effective is devastating. What are the best Pokémon Go movesets for Flareon? Flareon was all but forgotten thanks to the big Fire-type depowering (nerfing) of late 2016. With the advent of Blissey, though, Flareon's powerful Overheat move began to make a comeback. Now, with the new Gym system, Flareon's CP is no longer a deal breaker and Overheat has become a Grass-type burner against several of the Raid Bosses, including Venosaur and Exeggutor. It's overshadowed by Moltres and Entei, but also plentiful enough that it can still fill Gyms or round-out teams. Attack: Fire Spin + Overheat. It takes a while to charge but it's a blast furnace when unleashed against Venusaur and it's Grassy kind. Defense: Fire Spin + Flamethrower. Double charge move can be used more often than single. Counter: Golem with Rock Throw + Stone Edge. Rock beats fire. What are the best Pokémon Go movesets for Jolteon? Thanks to the new, sub-3000 Gym system, Jolteon can be used in defense if you really want to. Where Jolteon still excels, though, is on attack. Against Water types, including Raid Bosses. It may note be as critically important in an era where Gyarados, which it best counters, don't sit aplenty in every Gyms, but it'll still help take out water-types in a Raid. Sure, Zapdos and Raikou are the new top shockers in town, but Jolteon can fill a Gym slot or round out a team if and when needed. Attack: Thundershock and Thunderbolt. It absolutely electrocutes Gyarados and short-circuits Lapras, Blastoise, and Vaporeon. Defense: Volt Switch with Thunderbolt or Discharge. Counter: Groudon or Rhydon with Earthquake. They're not just monsters, but monsters that take advantage of Jolteon's weakness to Ground-types. What are the best Pokémon Go movesets for Exeggutor? Exeggutor is back, baby! Knocked out of Gyms by the CP rebalance at the end of 2016, the new CP cap in mid-2017 has given its defense game new life. On top of that, its combination of Solar Beam and toughness make for a lethal attacker against many of the toughest defenders in Gyms, even Blissey. But wait, there's more: It'll hurt any Raid Boss that's weak against Grass, including Rhydon and Blastoise, and those weak against Psychic, including Machamp. Attack: Extra Sensory (legacy: Confusion or Zen Headbutt) and Solar Beam. Solar Beam. It brings down the power of the sun. Defense: Extra Sensory with Solar Beam (legacy: Confusion with Seed Bomb). But the CP just isn't there for it to be a real defender. Counter: Dragonite with Dragon Tail and Outrage. Also, anything with Fire Spin and Overheat. Your best Pokémon Go movesets? These are the best Pokémon Go movesets I've seen for the toughest Pokémon and best counters currently in the game. If you have a favorite, then let me know what it is and what moveset you is best for it! Updated July 2018 with Regice, Celebi, Registeel.